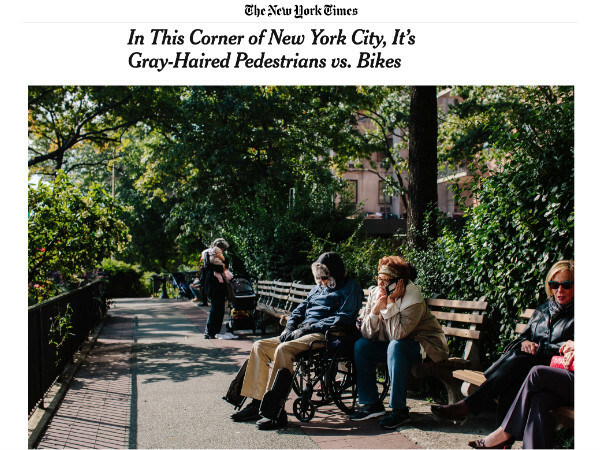 A New York Times article on a neighborhood divided over the addition of a new bike path cites Social Explorer in the discussion. The city plans to build an access ramp in a quiet park on the East Side of Manhattan, giving cyclists access to a new esplanade. Many local residents, many of them elderly, are concerned about the change and what the influx of bike riders could mean for their enjoyment of the park. Some opponents say the new bridge and esplanade will primarily benefit people who are younger, physically fit or active, and not a neighborhood filled with older residents. About 61 percent of Sutton Place residents are over the age of 55, compared with roughly 24 percent citywide, according to an analysis of census data by Social Explorer, a research company. The article also cites neighborhood resident and Social Explorer collaborator, Prof. David Halle. Cilck here to read the full article.